When kids create it usually turns into a beautiful mess, doesn’t it? Hide your child’s clean clothes with this waterproof art smock. It’s the perfect way to not have to undress/redress your child who wants to paint for a whole 4 minutes, or longer! Plus it’s machine washable, so that makes your life even easier! Add a little more spark to your painting afternoon with these texture brushes. 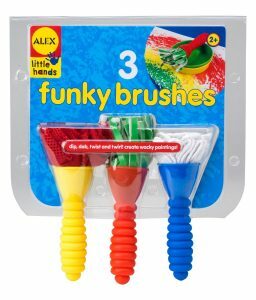 They are created with non-traditional materials that make painting even more fun than usual! Does your 2 year old like to draw? You may not be able to identify what it is that she drew, but she’s drawing and that’s all that matters. 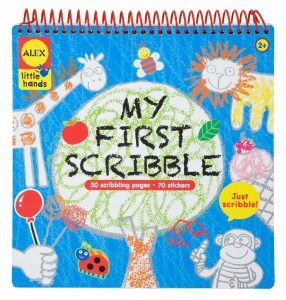 This scribble pad is perfect for little ones to explore holding their crayon or pencil, connecting shapes and even the world of abstract art. 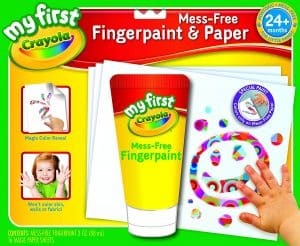 This mess free finger painting set is a mom’s best friend. The child can create and paint without ruining clothes and furniture. The paint only works on the specific paper so nothing else will be colored. When your child is done creating his masterpiece, you can hang it up on the fridge and both smile. 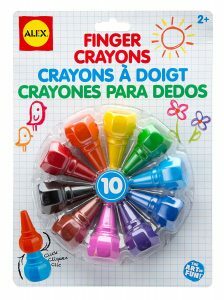 These crayons fit on the fingertips of little ones. 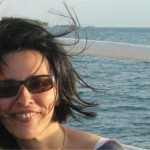 A fun, non-traditional way to color and create. 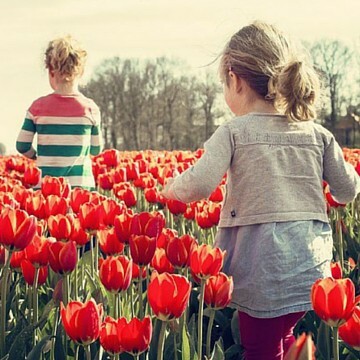 Children can color with all ten colors at one time if they’d like. Just think of the rainbows that could be created! 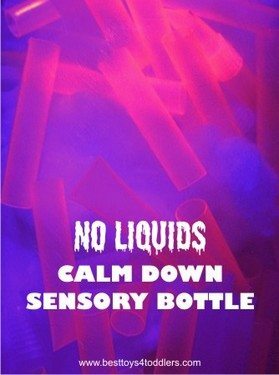 Another no mess alternative are these markers. Working in the same fashion as the finger paints above, the markers only work on this specific paper. That means your child can create a masterpiece worthy of the front of the fridge, without creating a marker trail from the table, over the couch and on the wall. 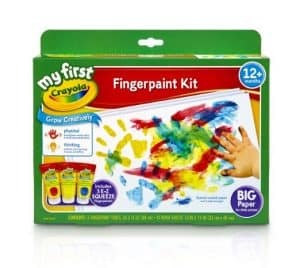 Finger painting is a fabulous way for 2 year olds to create art. 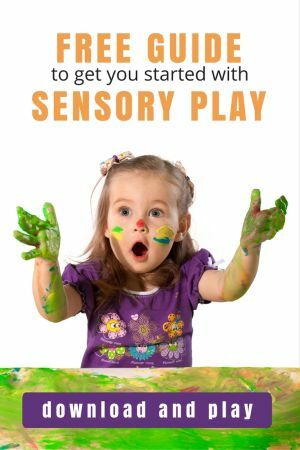 It is exploring the world of art, sensory, hand-eye coordination and more. Plus then you have a beautiful work of art to add to your brag book. 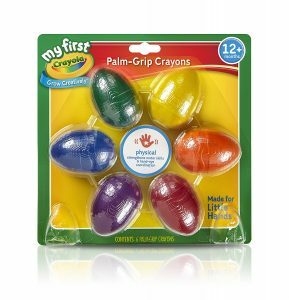 These palm grip crayons are somewhat egg-shaped. They should fit perfectly in a toddlers hand. 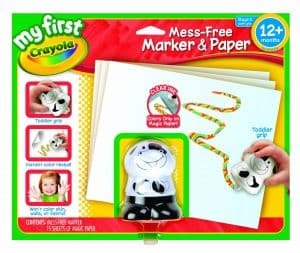 They will be able to draw, scribble, and create without having troubles holding the crayon. Art and crafts for 2 year olds are much more than the final masterpiece. 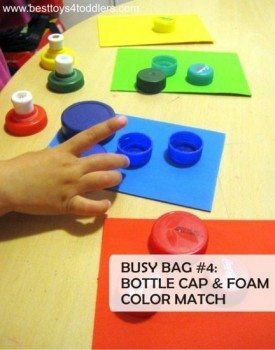 Art and crafts help develop skills such as cause and effect, hand-eye coordination, fine motor skills, and many, many more. These art and craft supplies are some of my favorites for 2 year olds and I hope you agree! 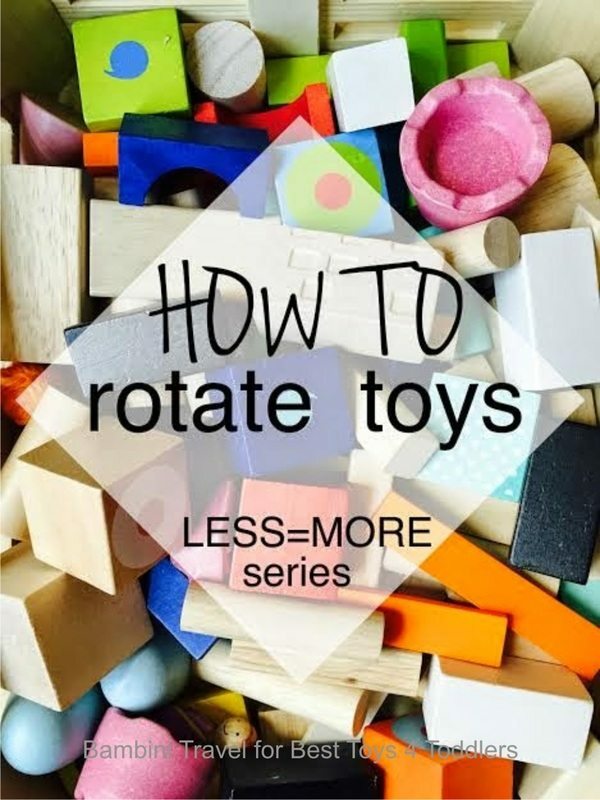 Do you have a favorite supply for your 2 year olds? We’d love to hear about it in the comments below. 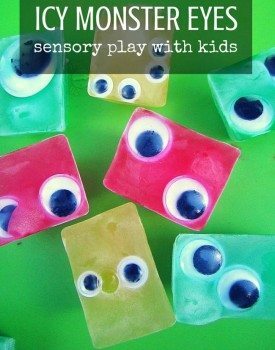 Read on with these books to learn about the importance of sensory play and find more creative activities for your toddler!